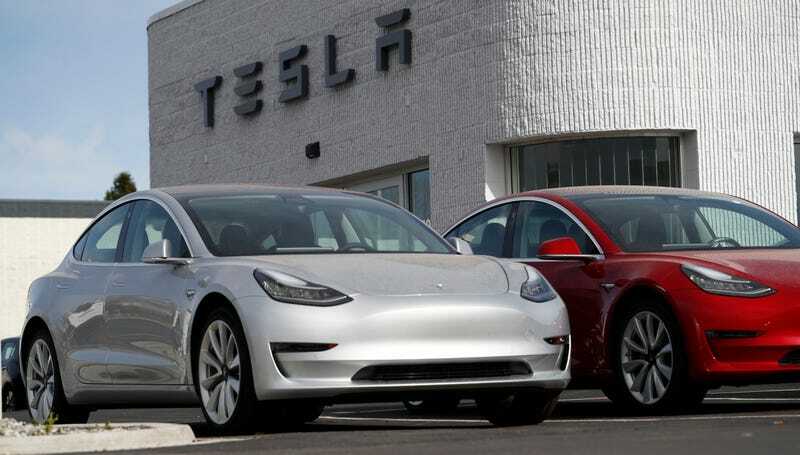 Tesla CEO Elon Musk announced that full production of the entry-level $35,000 Tesla Model 3, arguably the motivating factor behind the majority of the car’s hundreds of thousands of deposits, will begin in the first quarter of next year at Tuesday’s monthly shareholder meeting. Production of Tesla’s $35,000 Model 3, the car many of the hundreds of thousands of initial deposits were for, has been a point of contention as the company has had to work through manufacturing hangups on the more expensive trims of the car, including the recent introduction of a new $78,000 performance version. Musk claimed at Tuesday’s presentation that the smaller, approximately 50 kWH battery pack will be ready by the end of this year, and production of the lower trim car will likely begin in early 2019, three years after the model was announced. The company currently produces around 3,500 Model 3 cars per week, according to Musk, as it ramps up to its goal of over 5,000 per week. Another related announcement for the Model 3 is that test drives should be available at all North American Tesla stores by the end of next month. This article may be updated with more information as it’s made available.